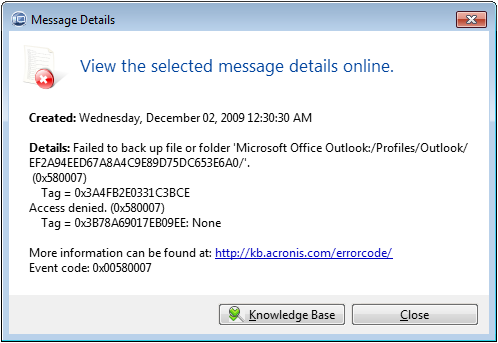 For Acronis True Image Home 2011 see Acronis True Image Home 2011: Scheduled E-Mail Backup Fails if Microsoft Outlook Is Running. This has been fixed and the fix is available in the latest build of Acronis True Image Home 2010. See Installation of the latest update of an Acronis product.